Have You Heard About Squalane Oil For Skin? Recently consumers have discovered that using skin care products which contain ingredients that the body naturally manufactures such as squalene which can get refined into squalene oil for skin often turn out to be very good products to buy. This is because when we are young our bodies produce adequate ingredients to keep our skin healthy and youthful. However, as we age, our bodies make less and less of certain ingredients attributed to youth and a youthful appearance, so replenishing those ingredients through the skin care products you choose is effective in helping to delay the aging process and provide for healthier skin. So, one such ingredient that plants, animals as well as humans produce and has proven to be essential to healthy skin is Squalene. What Is Squalane and Is Squalene Different? Squalane oil is a refined form of Squalene. In skin care products, Squalane and Squalene have the exact same benefits for your skin. However, when Squalene is subjected to air, it tends to “spoil” rendering the skin care product that contains this ingredient useless and ineffective. Squalane, on the other hand, has a much longer shelf life with most products remaining effective for two years after the product is opened. So, in essence, while Squalane and Squalene are basically the same, refining Squalene and turning it into squalane simply makes this oil useable for a longer period of time. Squalane Oil has many benefits for the skin, especially for people over the age of 20 when their own production of Squalene begins to drop. Skin care products with Squalane are high in anti-oxidants and have anti-bacterial properties which help to keep skin healthier and younger looking in general. In addition, when Squalane is used over time, it will help to improve the texture of your skin, lighten freckles and even out your overall skin tone. It will also help to heal sun damaged skin and reduce fine lines and wrinkles. Squalane can easily be absorbed by the skin, which means that while it does protect the skin from the sun and toxins in the air, it doesn’t feel greasy and also helps to heal the underlying areas of skin while locking in natural moisture. Where Does Squalane in Skin Care Products Come From? Squalene can be found in shark livers, rice bran, olives, wheat germ, and some vegetable oils. The squalene that is refined into squalane either comes from shark livers or olives. So, if you are against the process of taking squalene from sharks, it is always best to check and make sure that squalane used in any skin care product you purchase comes from olives or another plant source rather from sharks. The good news is that when it comes to Squalane you can actually treat your skin from both the inside and the outside while helping to keeping your body healthy as well. 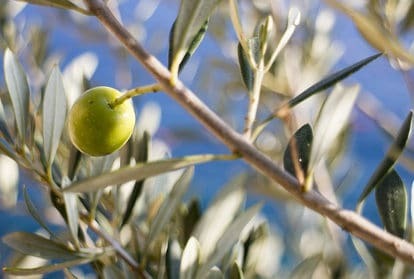 Applying skin care products with Squalane oil to your skin on a regular basis will protect it from the outside, making it more resistant to aging and softer while choosing to use extra virgin olive oil in salad dressings and cooking can help to prevent premature aging as well as reduce the risks of organ damage and certain other diseases.